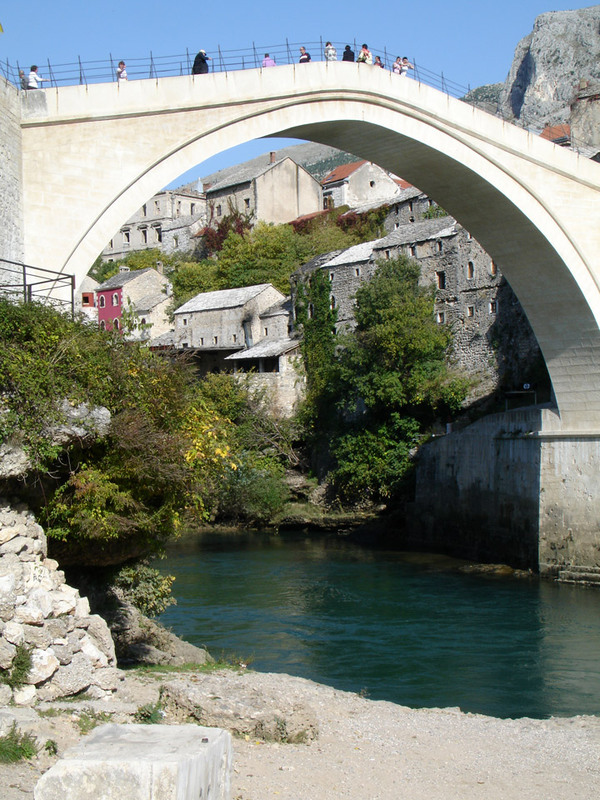 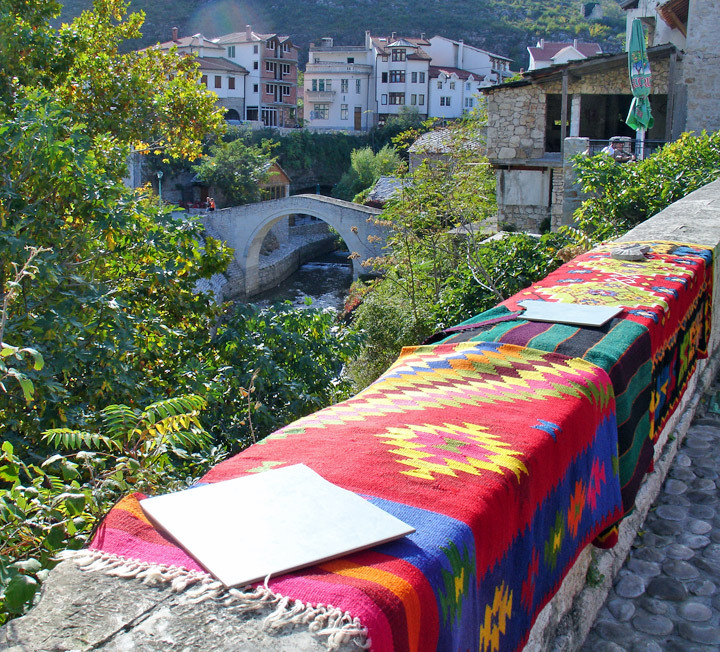 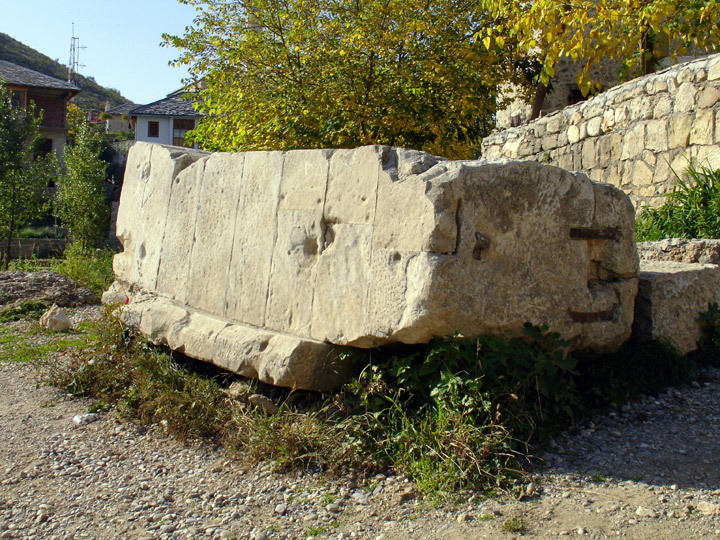 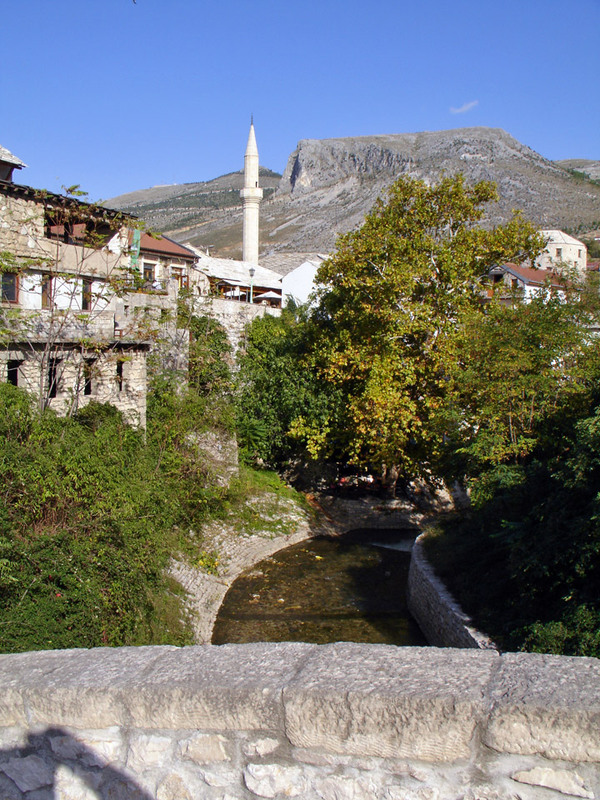 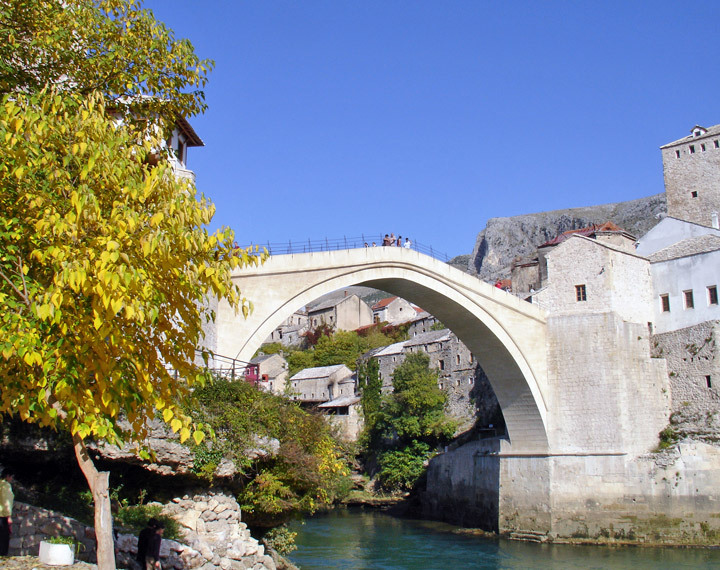 The oldest single arch stone bridge in Mostar, the Kriva Cuprija (Sloping Bridge), built in 1558 by the Ottoman architect Cejvan Kethoda was to be a tested before the major construction of the Stari Most began. 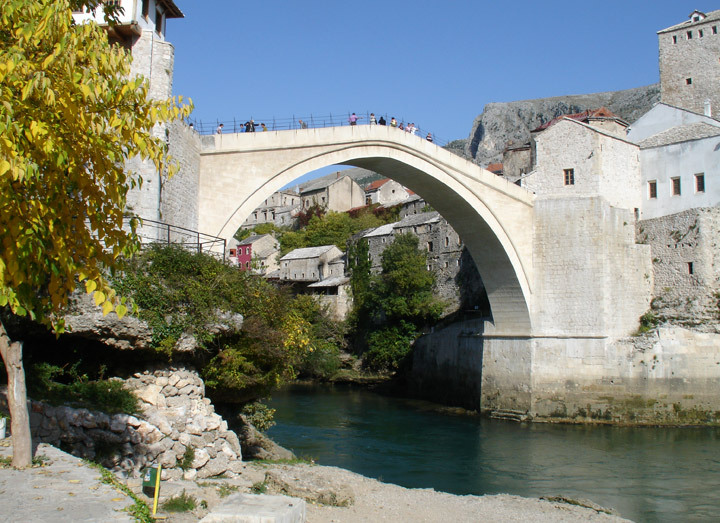 The Old Bridge was completed in 1566 and was hailed as one of the greatest architectural achievement in the Ottoman controlled Balkans. 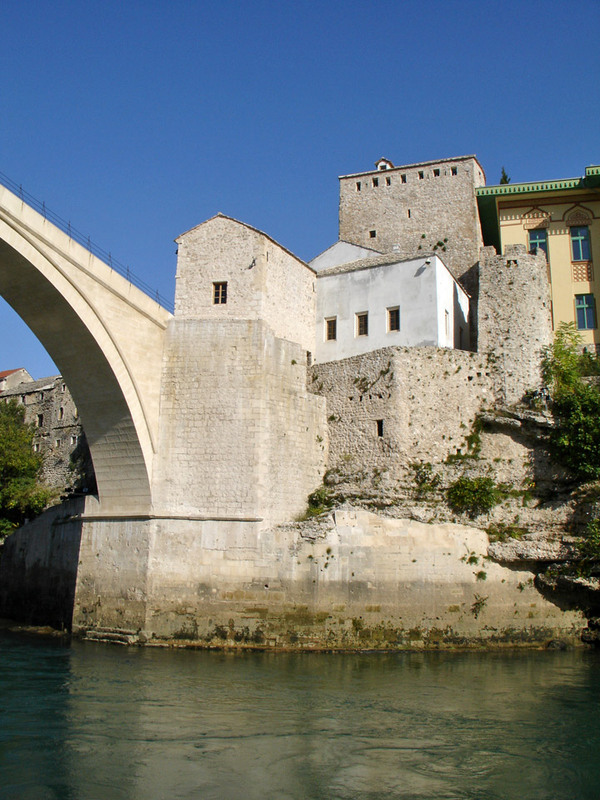 No matter how many times one does it, crossing the Stari most (Old Bridge) always seems to be an exciting experience. 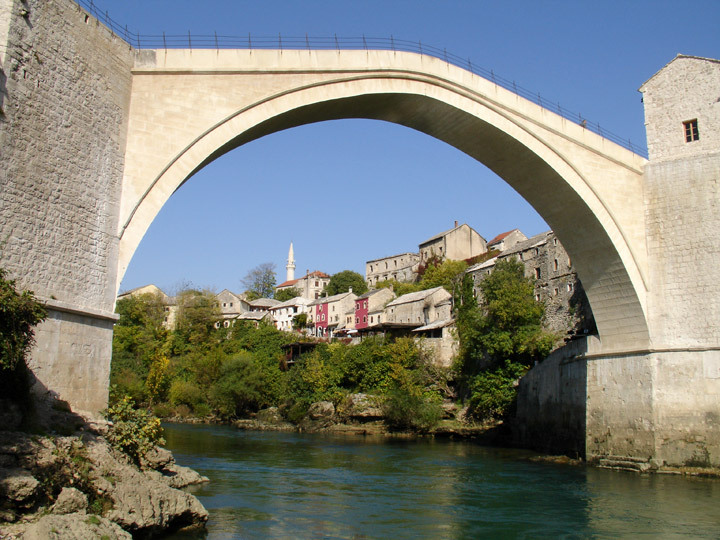 This single-arch stone bridge is an exact replica of the original bridge that stood for over 400 years and that was designed by Hajrudin, a student of the great Ottoman architect Sinan. 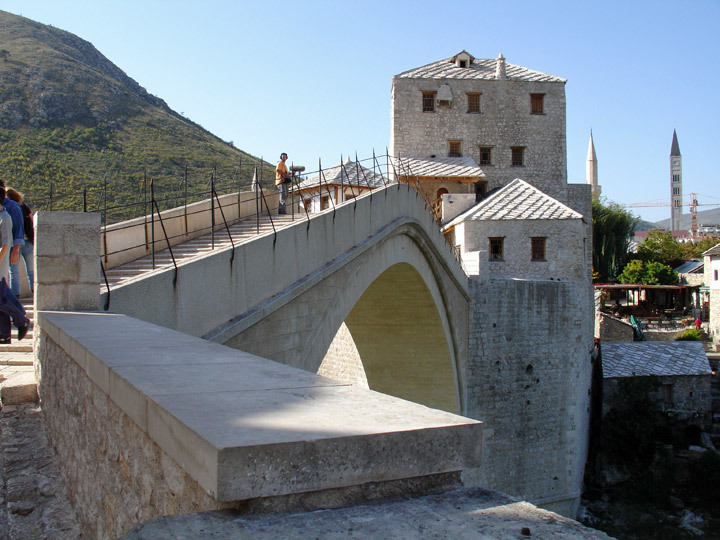 It spans 28.7 meters of the Neretva river, 21 meters above the summer water level. 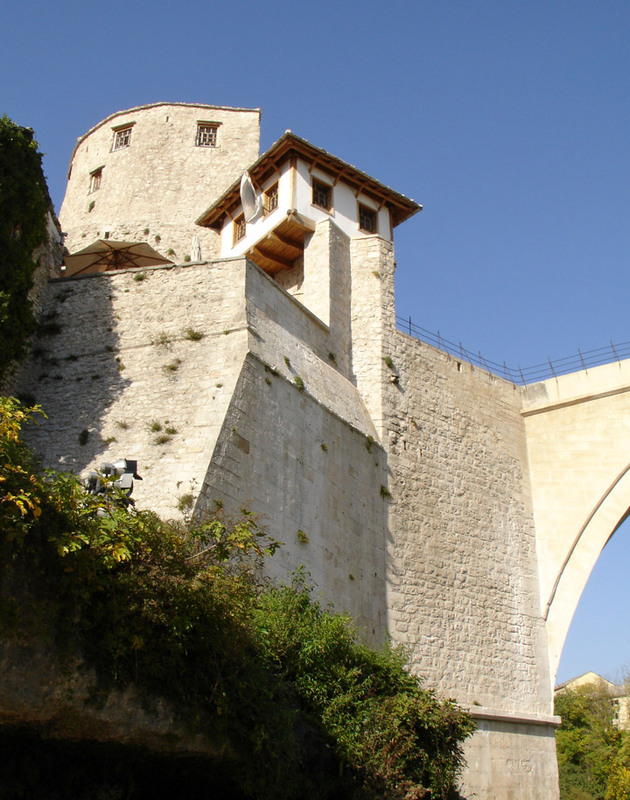 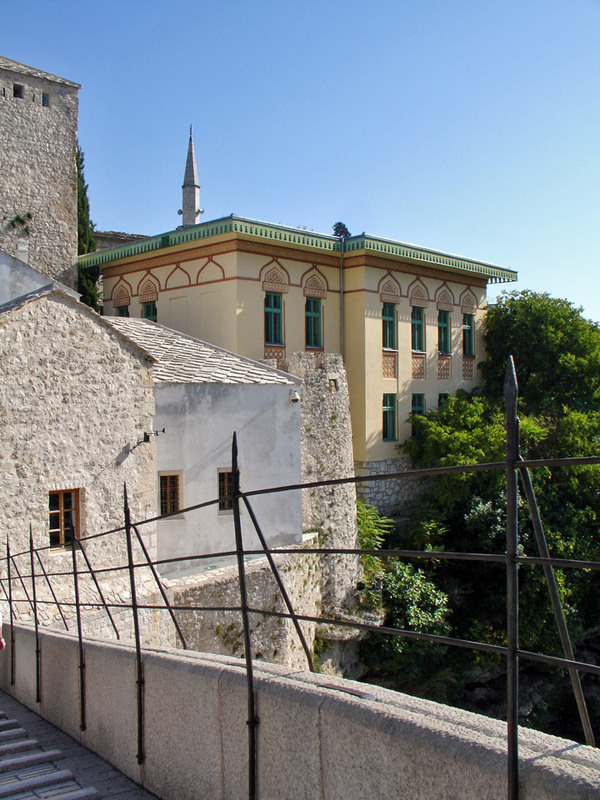 The Halebija and Tara towers have always housed the guardians of the bridge and during Ottoman times were storehouses for ammunition. 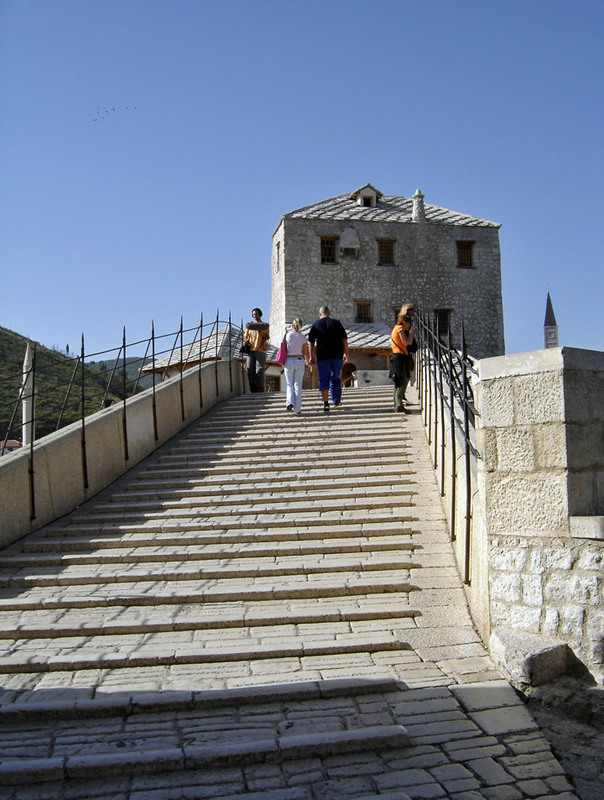 Crossing from the west bank to the east you'll also be crossing the ancient point where East and West symbolically met. 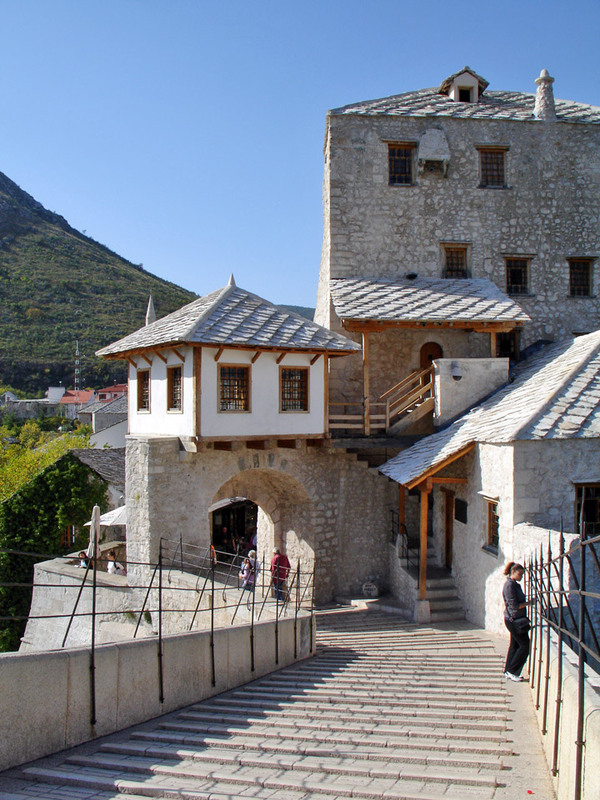 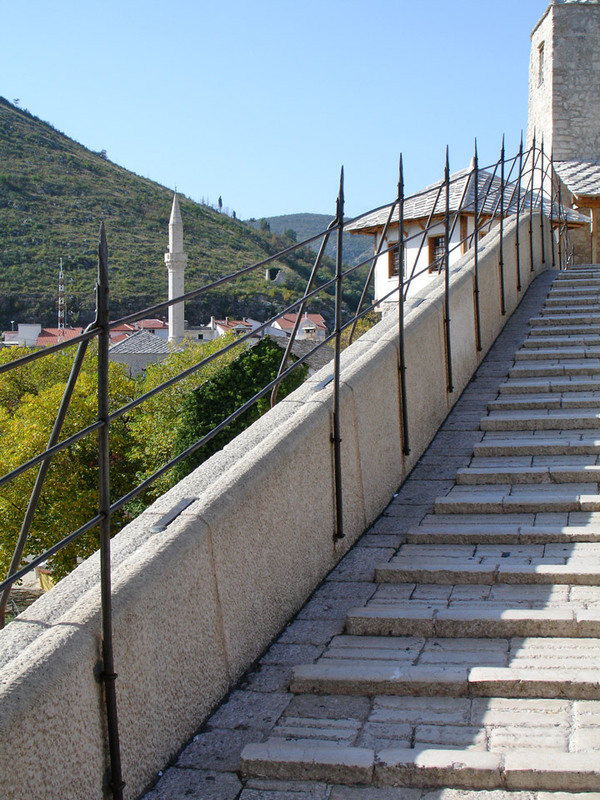 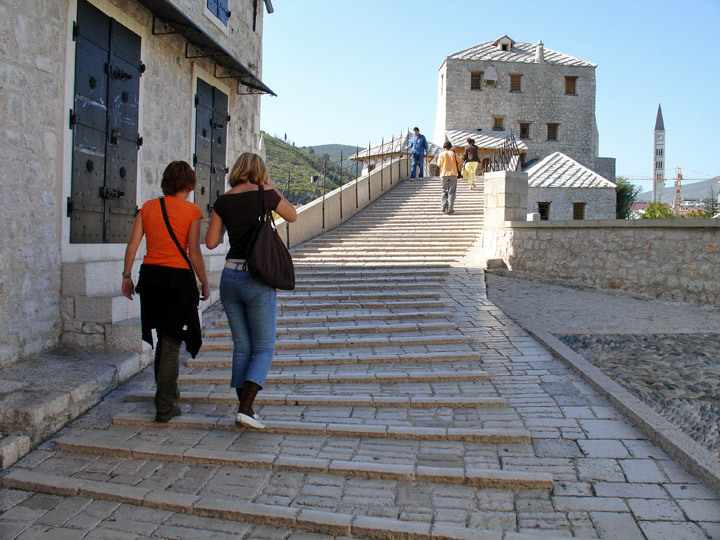 Up the stairs to the right is the oldest mosque in Mostar: the Cejvan Cehaj Mosque built in 1552. 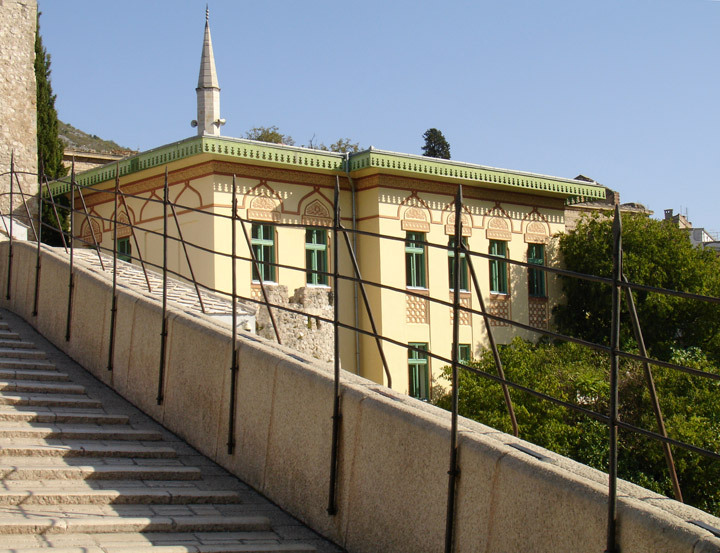 Later a medresa (Islamic school) was built on the same compound. 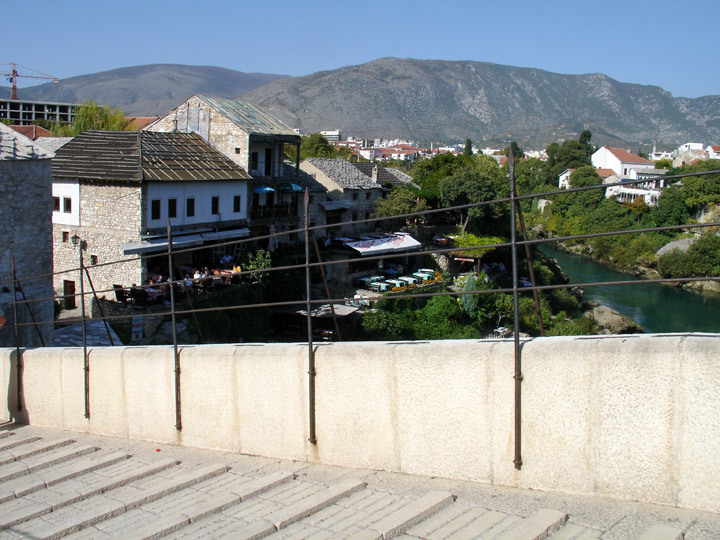 The Old Bazaar, Kujundziluk is named after the goldsmiths who traditionally created and sold their wares on this street, it is the best place in town to find authentic paintings and copper or bronze carvings of the Stari Most, pomegranates (the natural symbol of Herzegovina) or the famed stecaks (medieval tombstones). 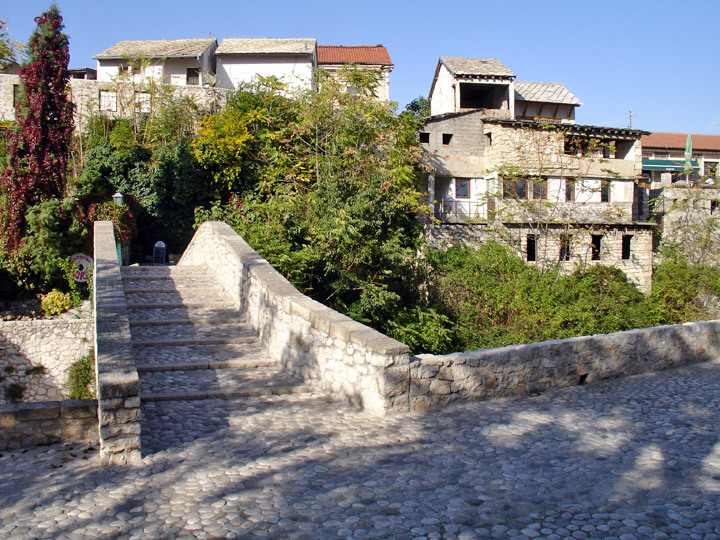 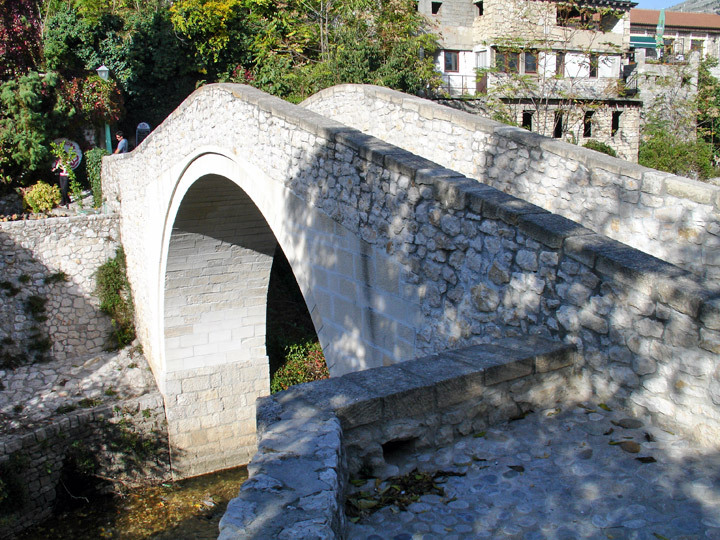 Kriva cuprija is a stone one-arch bridge of small dimension and closely resembles the Stari Most. 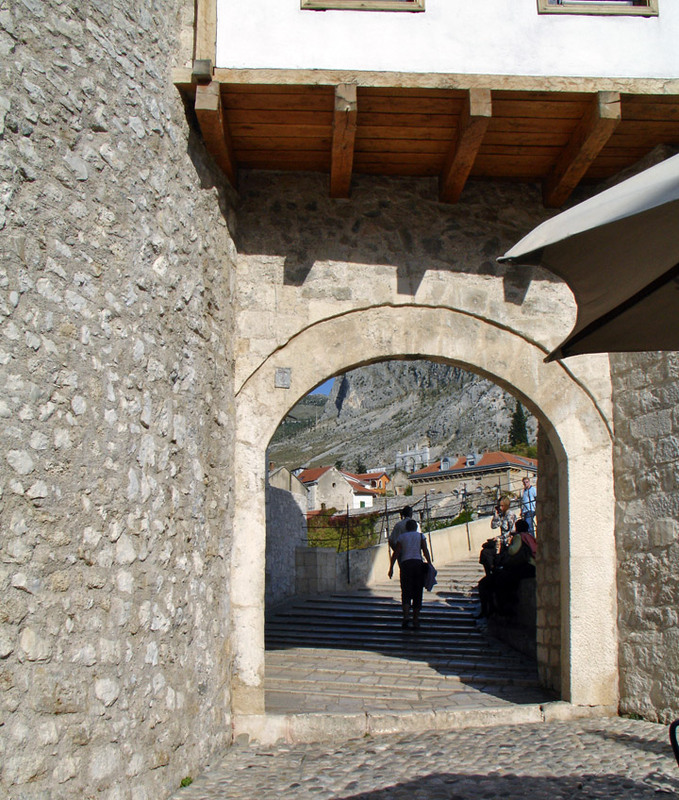 The arch is a perfect semicircle 8.56m in width and 4.15m in height. 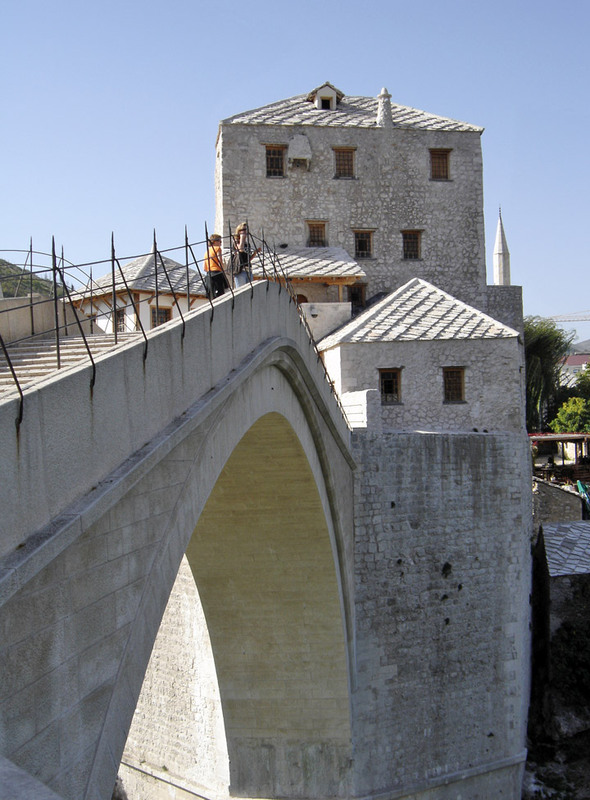 The frontage and vault are made of regular stone cubes incorporated into the horizontal layers all along the vault. 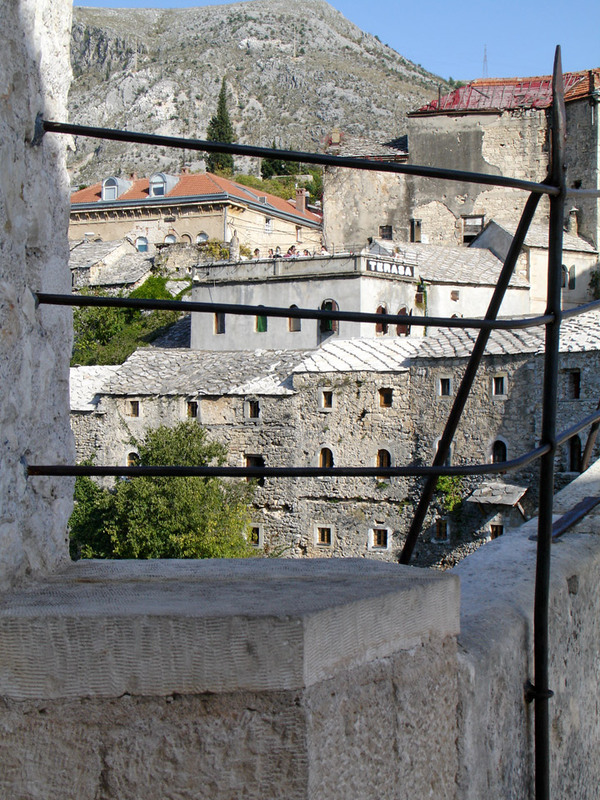 The space between vault, frontal walls and footpath is filled with cracked stone. 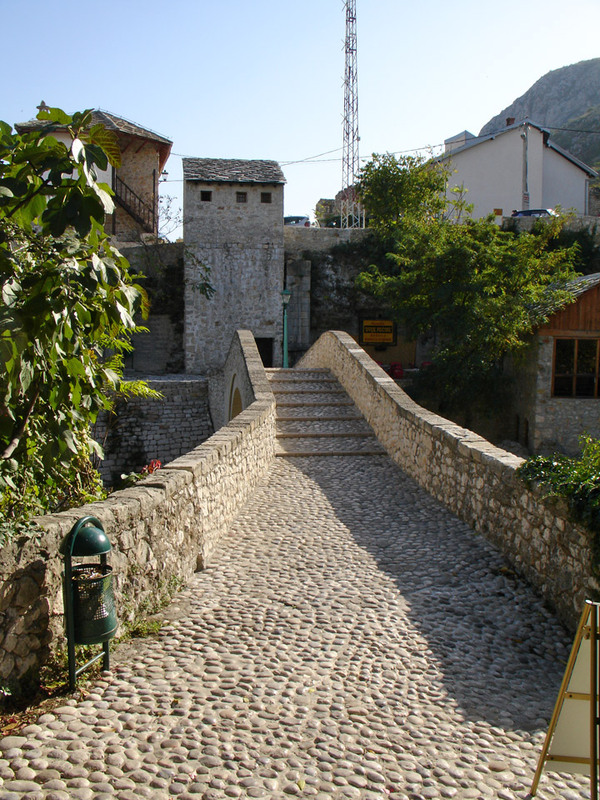 The bridge footpath and the approaching roads are paved with cobblestones, as is the case with the main roads in the town. 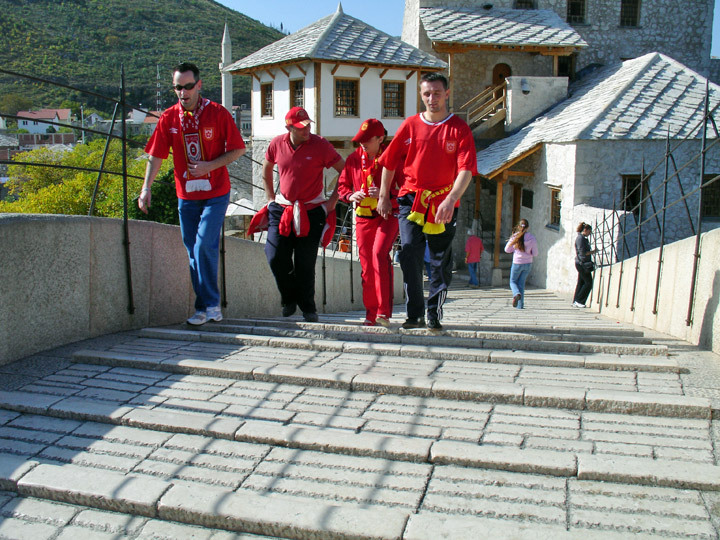 Stone steps enable people to ascend to the bridge either side.